It's time to make the tote that gets you an additional 10% off your purchases at Paradise! Kit available including outer fabric, lining fabric, pocket fabric, fusible fleece and webbing for $24.99. 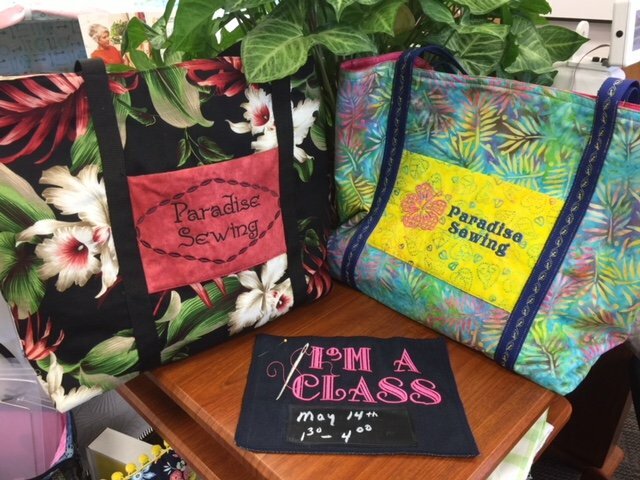 Embroidery design and tote pattern included in class fee. 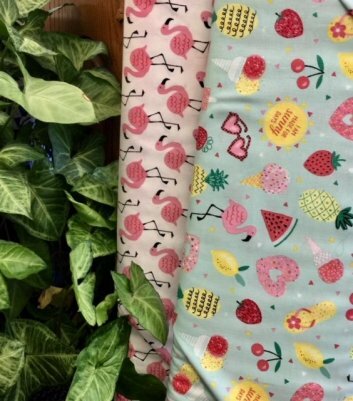 Here's the fabric for he 2019 Tote!